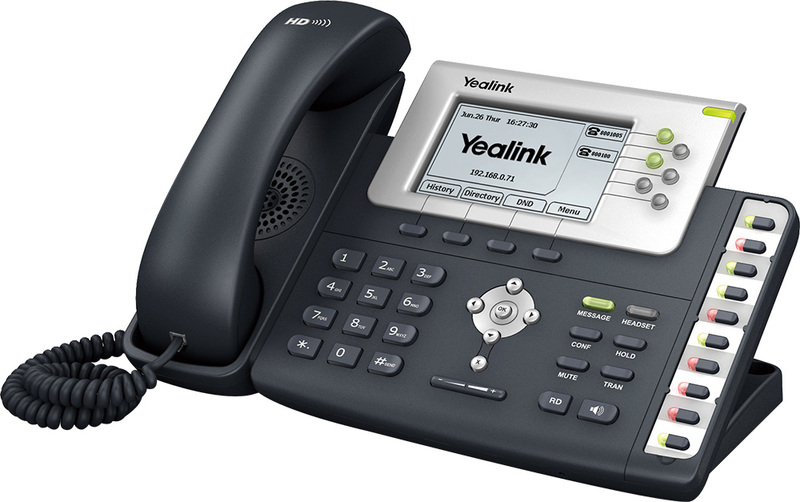 Yealink T28P VoIP Phone ($149) - Cebod Telecom "
The Yealink SIP-T28P represents the next generation VoIP phone designed for business users who need rich telephony features, a friendly user-interface and superb voice quality. Equipped with the TI TITAN chipset, it offers high-definition voice quality through a TI voice engine, HD handset, HD speaker and HD codec (G.722). The large, high-resolution graphical display, combined with up to 48 keys, guarantees an excellent user experience in terms of configuration options, making calls and to access the express XML browse. To ensure that your audio data remains confidential, the Yealink SIP-T28P also supports security standards TLS, SRTP, HTTPS, 802.1x, Open VPN and AES encryption. These guard against electronic eavesdropping and data theft.